As a major north-south route in the Placer region, Placer residents rely on State Route 65 to get to work, shopping, dining, and entertainment. At the start of every New Year, shopping centers such as the Roseville Galleria or the dozens of other shops and restaurants that surround State Route 65 hum with activity. Returning from holiday vacations, employers from Thunder Valley and the RC Willey Roseville Distribution Center rely on SR 65 to allow their employees to commute to work and to ship their goods in and out of the region. Students at William Jessup University and other schools in Roseville and Rocklin depend on SR 65 to help them get to class, too. If you live in a community located anywhere from Sun City Lincoln Hills down to Stanford Ranch Road, you likely drive SR 65 daily. When you add long distance truck travel to the number of trips taken every day along SR 65, traffic becomes a growing challenge. “There are so many peak travel times on State Route 65 that you never know if you’re going to be stuck in traffic, regardless of the time of day or night – and it will only get worse,” said Celia McAdam, Executive Director of the PCTPA. We live in Placer County because of the great quality of life here, and that continues to attract new residents. However, our population is projected to increase 25% over the next 30 years, and that will make driving State Route 65 even more challenging if we can’t add additional lanes as soon as previously planned because of lack of funding. The State Route 65 Widening Project includes plans to widen SR 65 from the I-80 interchange to Lincoln to relieve traffic in the Placer region. The environmental phase of the SR 65 Widening Project began in 2014. In July of that year PCTPA held an open house to notify the community that the project was entering its environmental phase and to hear residents’ input on the proposed highway improvements. The environmental document assesses impacts of plans for widening State Route 65 to 8 lanes from the I-80 interchange to Blue Oaks Boulevard and then 6 lanes to Lincoln. This also includes auxiliary lanes between every interchange on SR 65 from Blue Oaks Boulevard to Lincoln Boulevard to reduce traffic congestion and improve safety as drivers enter and exit SR 65. The cost estimate on the entire project is $105 million. While there is future funding available from developer impact fees, these fees only become available as developments are built, contributing to an irregular flow of funds. Measure M would have filled the funding gap for SR 65 Widening and allowed us to get started on solving this problem almost immediately. 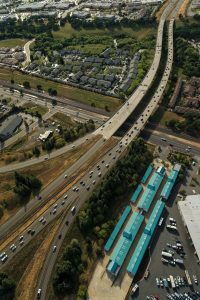 Now, without that revenue source, we will have to wait until development in the Placer region raises enough revenue through developers’ fees to fully fund the SR 65 Widening, which will likely take ten years or more.